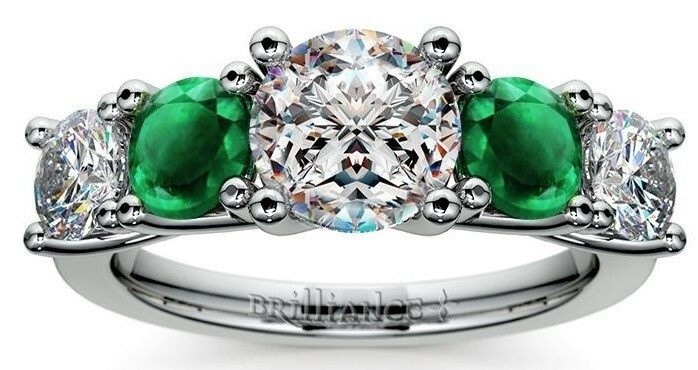 Any woman getting married this year is in for a pretty interesting array of options as far as bridal jewelry goes. She can always go for classics, or she can choose to follow the styles that are fast defining the 2013 bride: eco-friendly yet bold, and with a flair for personalized, sentimental designs. Here are some of the year’s best jewelry trends you can take inspiration from. Pantone’s declaration of emerald green as color of the year has definitely helped to add a touch of freshness in many wedding themes this year. So far, it has been seen on bridesmaid’s dresses, groom’s men’s cummerbunds and bow ties, and other nuptial ceremony trimmings. 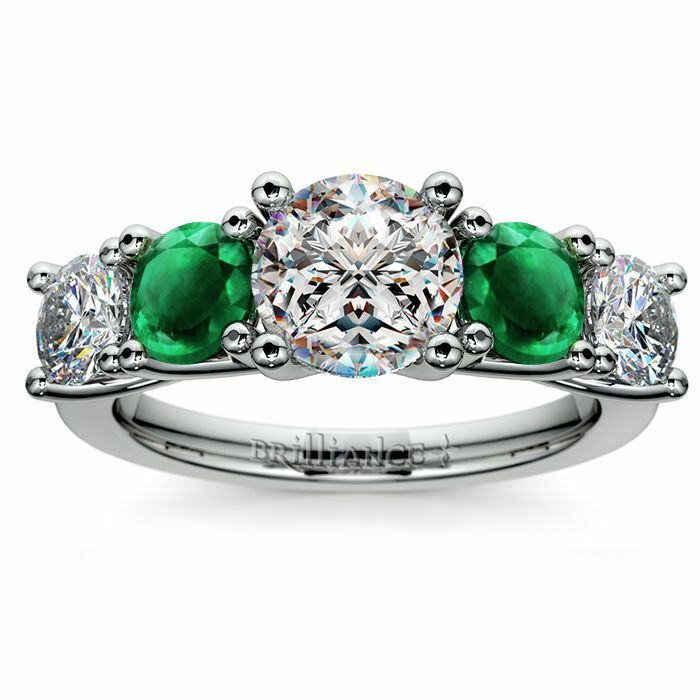 Choosing emerald as an accent stone for your engagement ring or wedding band can help you look back on the year when this beautiful green gem took center stage…a literal “mile” stone! Natalie Portman and her former beau showcased their concern and advocacy for reducing carbon footprint even during a highly sentimental occasion as getting engaged and married. They chose a ring made of recycled precious metal and stones, thus significantly cutting down on energy and labor needed to produce an entirely new ring from scratch. The ethical bride of today should already know about blood diamonds and other questionable practices involved in the process of jewelry making. From proper stone extraction in mines to child labor in gem-cutting sweatshops, the 2013 bride must be aware of all it takes to give her wedding day its sparkling significance, and make the right choices. Heirloom pieces are still highly-favored in this day and age, but the forward-thinking bride wants things done in a personalized way. This is why many are looking towards handcrafted, one-of-a-kind rings, bracelets, and necklaces that stand out in terms of originality. You can scour for vintage pieces in many places and have a jewelry piece repurposed, or have a trusted artisan-jeweler make a unique set of bridal jewelry for you based on your specifications. Voluminous veils are fast becoming things of the past…for 2013, at least. This year, many fashion-forward brides are favoring quirky fascinators and headpieces that do not hide their pretty faces and glamorous hairstyles. As seen on celebrity brides Anne Hathaway and Natalie Portman’s heads in their recent weddings, headpieces featuring silk and fabric flowers and encrusted with tiny jewels add to that bridal glow. Jade, emerald, sapphire, ruby, garnet…these jewel tones are not just hot things to incorporate in wedding bands, but also on bridesmaids’ dresses and accessories! While 2013 is still relatively young, we’ve already been seeing plenty of jewel-bright gowns and knee-length ensembles on members of the bridal entourage.